Jewelry 3D Printing provides jewelry designers and manufacturers with a whole new world of design and production capabilities. Jewelry 3D Printing can help jewelers in digital design by facilitating processes that would otherwise be too complex, time consuming or impossible to execute. It also allows jewelers to engage consumers in the design of their jewelry and to generate fast prototypes for demonstration and display. 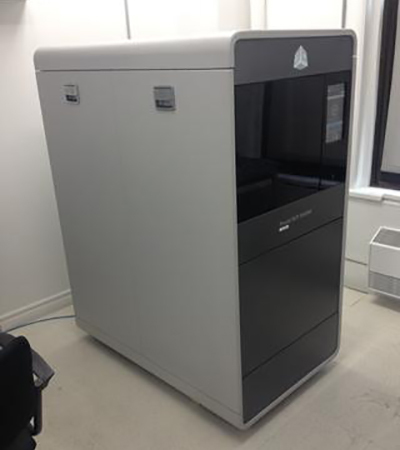 Here at MD Casting we offer the highest quality 3D Printing services in Montreal. With the Projet MJP 3600 Max from 3D Systems we print at the highest resolution available in a fraction of the time of other printers. All you need to do is send us an STL Version of the model you would like to have printed and within 24 hours it will be ready to be shipped to you, or to be cast in the metal of your choice and then be shipped to you already cast. Alternatively you can choose to pick up the 3D wax print or cast piece at our Montreal location. Work with MD Casting to put the power of cutting edge jewelry 3D Printing technology at the service of your business and increase your design capabilities, cut your manufacturing costs and increase your margins and profitability.